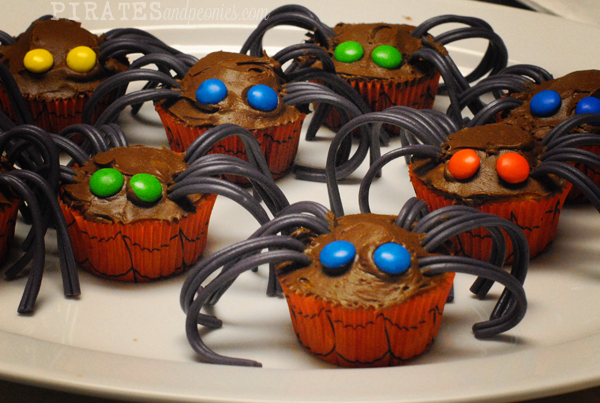 not a fan of spiders, or halloween for that matter, but i couldn't help but copy some cupcakes i came across! the boys loved them and i must admit i kind of did too! plus, it's always more fun to see a spider that doesn't move anyways. i just used boxed cupcake mix. 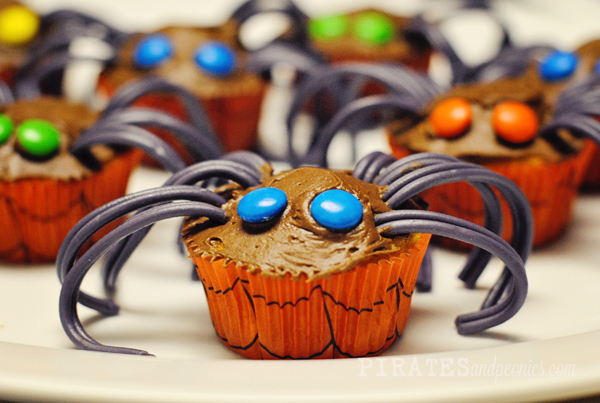 spider web cupcake papers. chocolate frosting. m&m's for eyes. grape twizzler pull'n'peels for the legs.